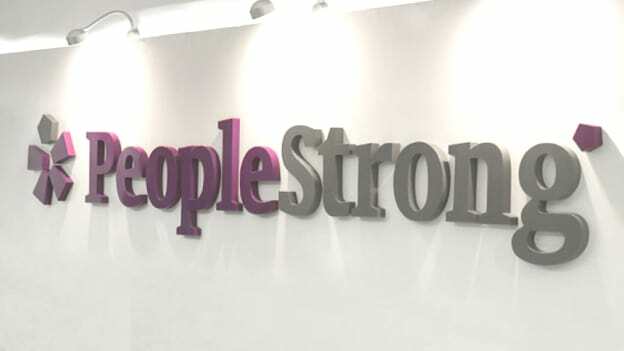 PeopleStrong celebrates its 12th anniversary this year, sharing the journey in numbers, the company said it had achieved: 10 Lac fresher database, 10 Lac candidate database. 1.5 Lac positions onboard, 5 Lac users and 120 Lac transaction and 18,000 Cr. of salary processing. At the PeopleStrong #AltifyHR 2018 in Gurgaon on 19th January, founders Pankaj Bansal & Shelly Singh unveiled a new mission for the organization to integrate talent and technology to drive business outcome. Historically, the trend on technology adoption has seen a decline due to lack of attention to user experience, and lack of integration between technologies. In the recruitment space - the job fit, selection bias and empowering the hiring managers continue to be a problem. In the talent management side - the disintegration of systems, user experience, usability and data privacy are a challenge. At the same time, the adoption of cloud and maturity of enterprise buyers to integrate technology leveraging cloud has seen an upswing. Solving hiring & candidate challenges - Integrating all talent sources and providing matching scores. The second large challenge for users is the problem of integration between technologies. "Alt One" brings together 30 partners across nine segments al on one platform. Organisations that are part of the HR Store include Zeta, Authbridge, Aditya Birla Group Capital, Cleartax, IDFC, Kleeto, reckrut.com, Talview, AWS, Synergita, Shuttle, iimjobs.com, DoctorInsta Happy, Sheroes, Hyphen among others. The value proposition of “Alt One” is that users can access all products and services on one platform. For example, a hiring manager can create a telephone campaign using Recruit platform. Similarly, candidates can go through tests that are integrated by leveraging the power of partners like Wheebox. Another example is how “Alt One" integrates rewards for every user with GiftXoXO for employees to use these points for rewards. Additional examples include access to companies to open a bank account with IDFC through a 4-minute process, from onboarding screen and three additional steps to open an account instantly. It serves as a single interface for the manager, for HR and for the candidate/employee. PeopleStrong HR technology stack is an excellent example of how Indian organizations are leveraging technologies available, integrating opportunities and simplifying processes and user interfaces.